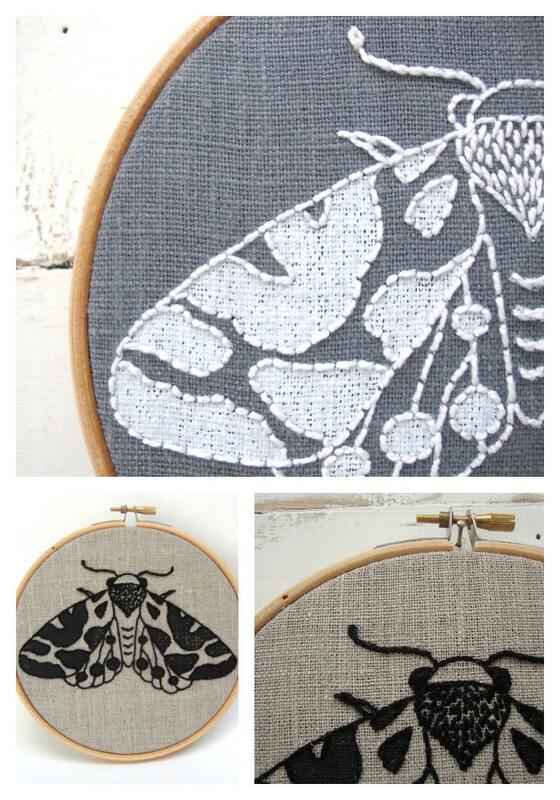 This DIY embroidery kit features a moth pattern, printed on beautiful linen! 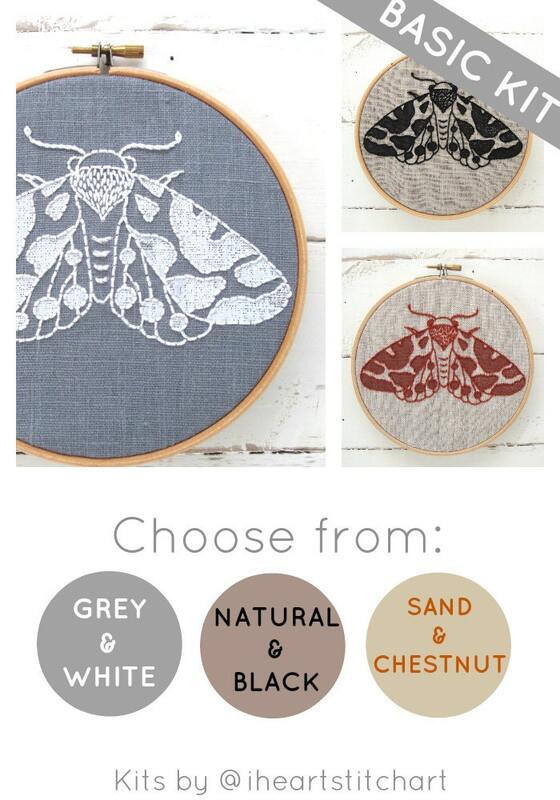 Choose from dove-grey, rustic natural, or sand linen and get stitching! 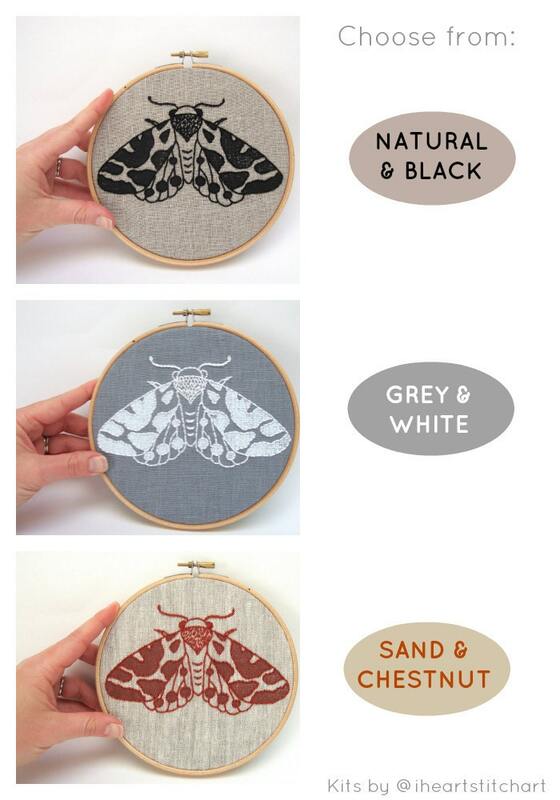 *Please note: This listing is for ONE embroidery kit! Please select the colour you want from the drop-down menu before you add it to your cart. 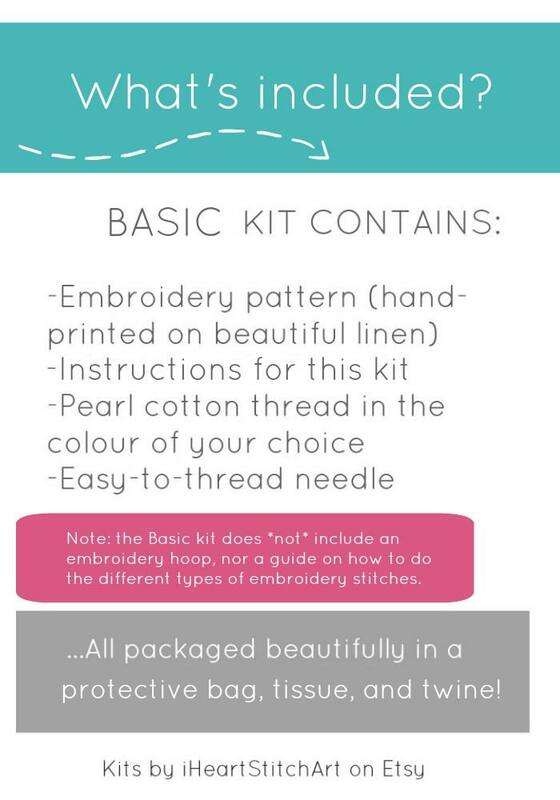 This kit will be carefully packaged in a clear sleeve and wrapped in tissue and twine. You will need your own embroidery hoop and to be familiar with the stitches. I recommend working with a 6" embroidery hoop, which is nice to hold and fits the finished image perfectly! 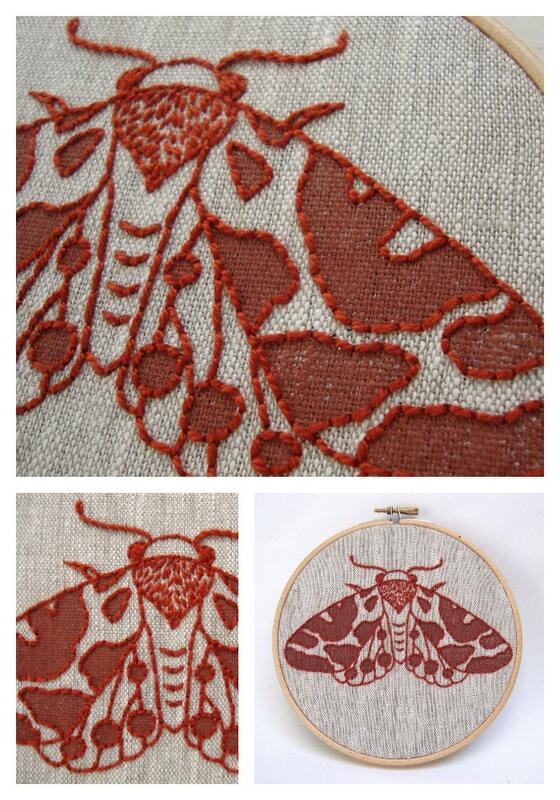 Fabric measures approximately 10.5" x 9"; moth measures 5.75" x 3.5". *All text, images, and photos are copyright iHeartStitchArt 2014-17. Shipped fast and looks like a really fun starter project.